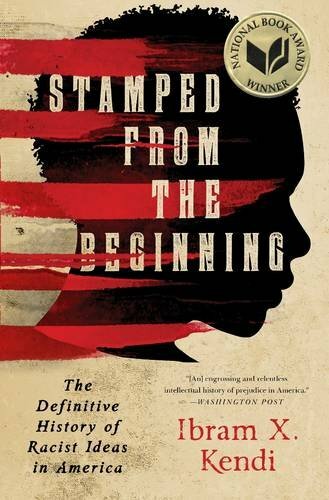 The above passage from Stamped From The Beginning: The Definitive History of Racist Ideas in America by Ibram X. Kendi tells us two important things: that anybody can be racist, no matter the political party they’ve stamped themselves with, and that racist ideas lead to racial discrimination and violence. As Kendi will shrewdly argue, racism will not abate if we do not eliminate racist ideas. Unfortunately, America inherited racist ideas built on the hierarchical political structure of Britain where the American colonists had previously lived. The poor, nonwhite, female colonist was unwanted by aristocratic Britain and so they were stamped from the beginning by racist ideas. Kendi wisely narrowed the scope of his book by telling the stories of five exceptional American leaders who greatly influenced the progression, side by side, of racist ideas through segregationists, assimilationists, and antiracists throughout America’s entire history. These Americans are the minister Cotton Mather, Pres. Thomas Jefferson, politician William Lloyd Garrison, writer W.E.B. Du Bois, and antiracist activist Angela Davis. Many, many other Americans help to tell America’s story and I hadn’t heard of some of them. It’s still a huge book of nearly six hundred pages, but narrowing the subject down really kept Kendi passionately focused on telling an intimate story, rather than an academic one, that the average, flawed-like-himself reader could relate to. This worked well for me and now I understand how deeply Americans, often unconsciously, are racist because of popular myths undergirding American society. So while Kendi shows us America’s racist problem and why the failed approaches of denoting black exceptionalism to upwardly mobile blacks, encouraging blacks to work harder, and educating those who are racist, are still being used, he also shows us what has briefly worked in the past and will again, and permanently. We must stop using the above failed approaches to racism, which are themselves basically racist. By acknowledging that nonwhites and white deserve equal respect, by being antiracist and not looking for a white savior or to be like the whites, we will finally address racism’s claws. As you can see, there’s much to be reflected on in Stamped From The Beginning. I may not be a nonwhite, but I’ve felt discrimination as a poor, not able-bodied woman. Another critical point made by Kendi is that racism will survive as long as we promote sexism, genderism, classism, homophobia, ethnocentrism, colorism, nativism, and cultural prejudice first. Too bad he didn’t mention able-bodied prejudice. There’s speciesism too. It’s true that America needs bold, anti-discriminatory leaders, but local grassroots movements may spark a national and global movement. Kendi urges us to realize that entrenched racism will remain in power until the powerful find it’s in their self-interest to become antiracist in their politics. We are all important in changing their self-interests through their wallets and our votes. There’s so much more to appreciate in this book, but the focus in my review has been to prepare you to absorb both the complexity and passion of Kendi’s message. Racists wish we’d simply dismiss racism as being part of our country’s history and not an issue anymore, especially since we elected a black president, but we don’t live in a post-racial climate and our presidents only passed antiracist bills, defended the right to desegregation, and created opportunities for immigrants, because they knew that upholding America as the land of the free and leader of the free world (rather than Russia) was crucial to our relationship with other countries. We were regarded as great then during the Cold War. Today in this Warm War with Russia, we can never be seen as great, in my opinion. Kendi’s story ends with speculations of the post-Obama, racist backlash times we now suffer. With him I hope the time has come at last to move beyond the lies of racism into the truth of our shared humanity. About the reviewer: Jan Peregrine has tried her hand at self-publishing and has about seven she recommends on Amazon or Audible. She recently finished writing a romantic/comedic trilogy called Dr. Freudine Is In. You can find her on Facebook, but she’s not into Twitter where Trumpster reigns.